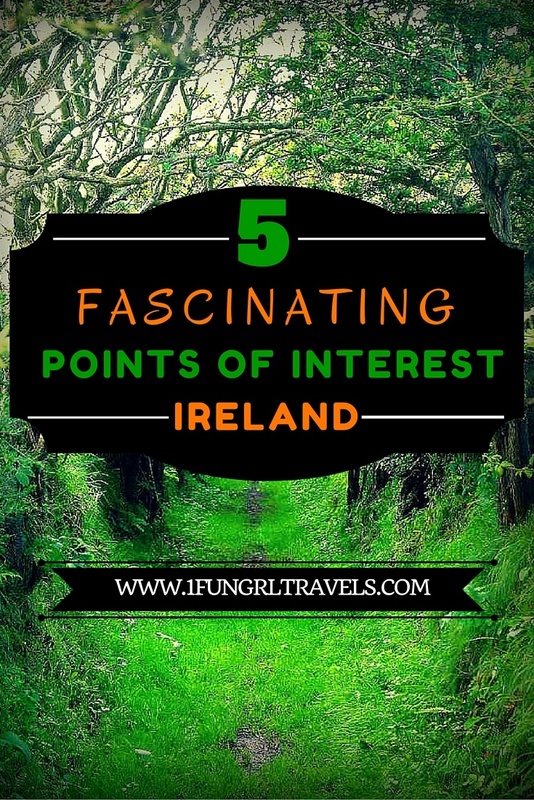 5 Fascinating Points of Interest in Ireland! Oh Ireland! I look back so fondly on our time spent together. Truth be told, of the 12 countries I’ve visited, Ireland is definitely in my top 3! Why you ask? The PEOPLE. The CHARM. But the fascinating points of interest in Ireland are what make it the most unbelievable! When you tell someone that you plan to visit Ireland, you soon become inundated with suggestions of where to go and places to visit. Then you have to reassure them you aren’t just going to “sample the libations.” Let’s face it, the Irish are known for a few things and slugging back a Guinness tops the list. In fact, I remember going on a tour in Dublin where the tour guide informed us that some of the doors on the houses were notoriously painted brightly so the drunkards could find their home in the middle of the night and to the correct wife! Fortunately, I can’t (and never really could) handle my liquor so that wasn’t my kind of trip to Ireland, at least MOST of the time. 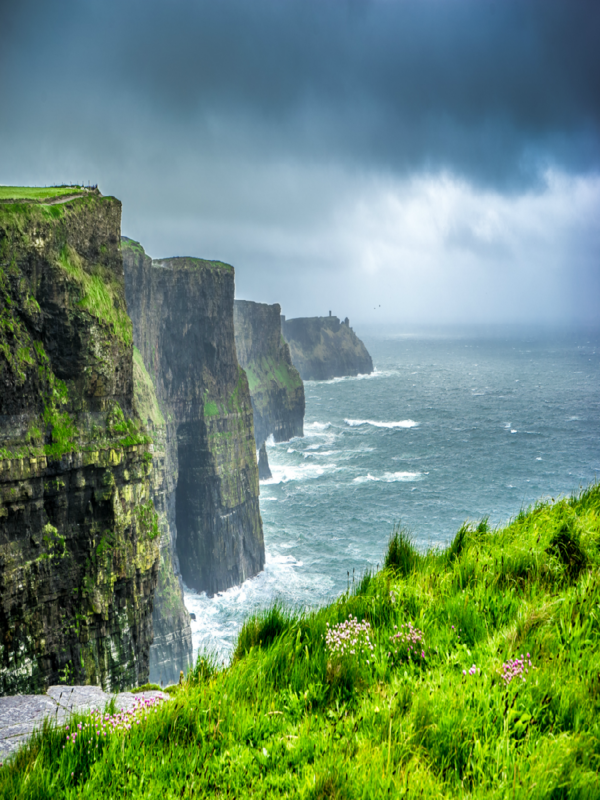 Research online is filled with lists of top ten or top 20 places to visit in Ireland, from the Hills of Tara in County Meath to the rain soaked Aran Islands. However, there is more to Ireland than beautiful countryside and friendly folk. Kissing the Blarney Stone is a typical bucket list item I’ve already crossed off, but lets face it, I already had the gift of gab! I’ve compiled a short list of 5 must see points of interest in Ireland, perfect if you are visiting for a long weekend! If you do your research online and plan your holiday well in advance, sites such as Expedia have a great selection of accommodation types to choose from. Ireland also has an extensive rail and transport network so getting around this beautiful country should be as smooth as possible. With spectacular views, a visit to the ring of Kerry is not to be missed when in Ireland. Located to the south to the country’s most southerly tip it is recognized as one of Ireland’s most scenic trails the ring of Kerry stretches for 120 miles. 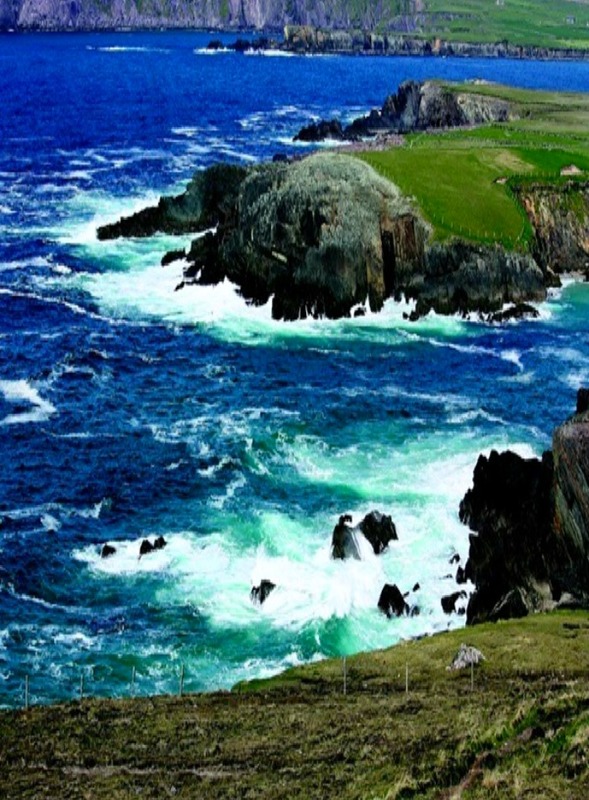 Taking you on a journey through some of Ireland’s jaw dropping landscape, with green dense meadows, ice cold lakes and heather clad mountain tops coupled with Ireland’s rugged coastline, the ring of Kerry covers a leg of the increasingly popular Wild Atlantic Way. Here, the idealized view of Ireland as a land of rural greenery and natural beauty springs to reality. The Giants Causeway one of the most riveting sites you will ever see. Located in Northern Ireland near the town of Bushmills in County Antrim, it is one of the most popular tourist attractions and should certainly be added to your favorite points of interest in Ireland! 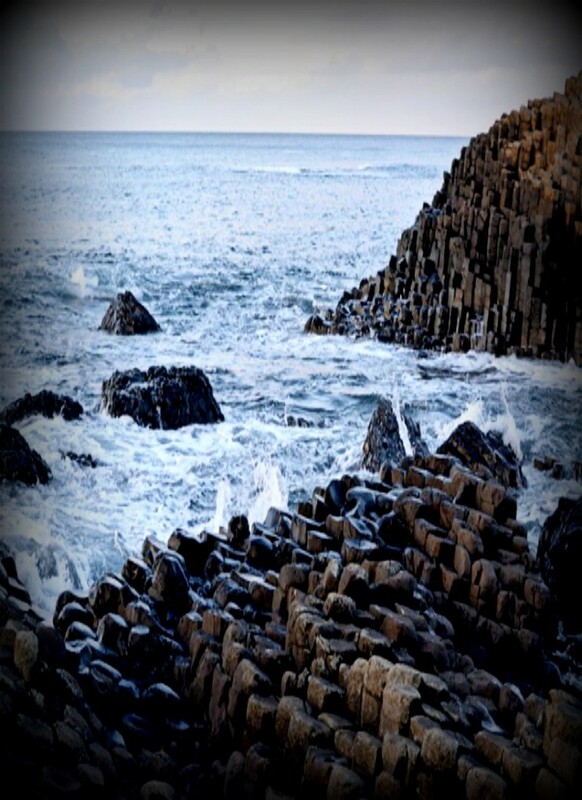 This natural wonder is made of interlocking basalt columns formed from volcanic activity millions of years ago. Alternatively, if you enjoy myth and legend, the story of Finn McCool a beloved Irish giant is said to have built the causeway in a fight with a Scottish Giant. I know what story I want to believe, but I will let you decide when you visit. Make time for a visit at the nearby Carrick-a-Rede Rope Bridge, which will really test your nerve of heights. Widely reported as Ireland’s most popular tourist attraction, the Guinness Storehouse, based in Dublin, is one of those points of interest in Ireland you just can’t miss! 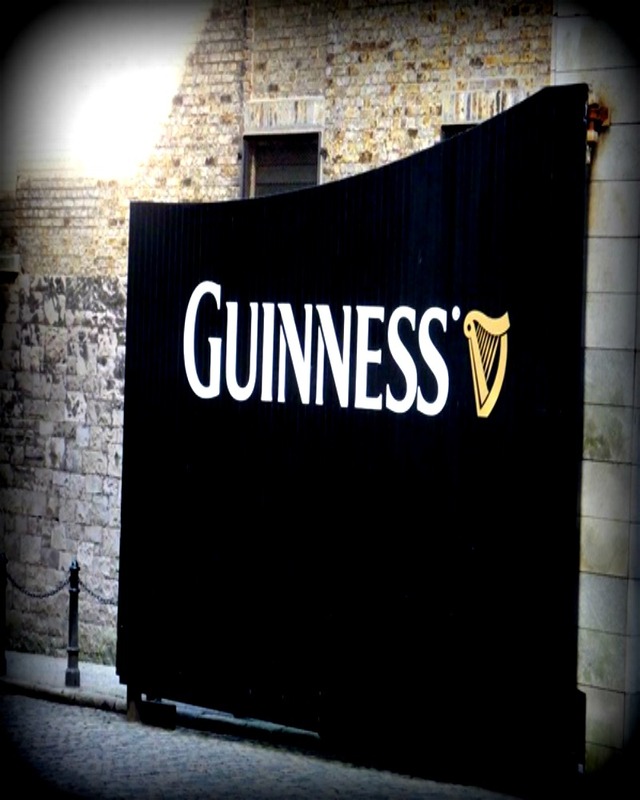 The Guinness Storehouse is the home of Ireland’s most famous export “the black stuff” Guinness. Even if you are not a fan the storehouse tells an interesting story bringing alive a real segment of Irish History. A tour of the storehouse is spread across 7 floors as you walk through the whole process from grain to glass. At the end of the Tour you are rewarded with a pint of Guinness with 360° panoramic views over Dublin. If you can’t make it as far as Dublin do take the chance to sample Ireland’s most popular export wherever you are. 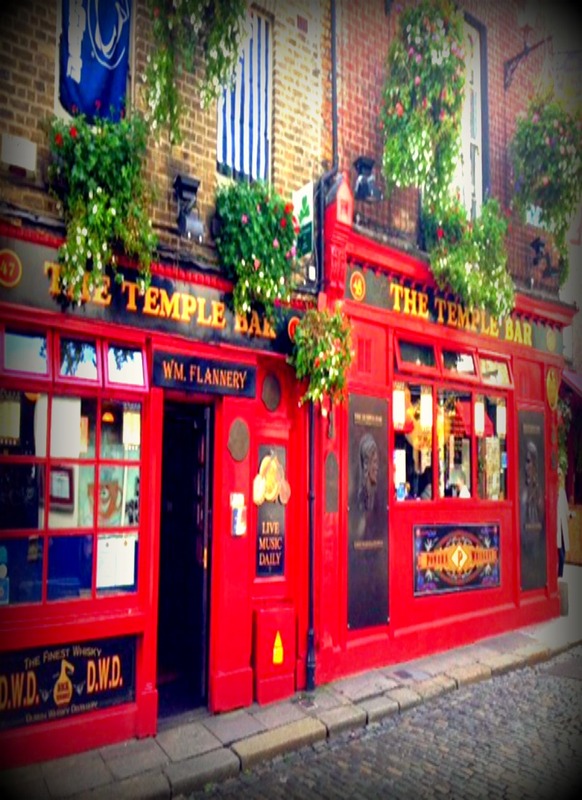 Finish off your time in Dublin in the cities hub of Temple Bar! Here there will be Guinness and Irish “crac” (banter) aplenty. You will also get the opportunity to meet the locals with traditional music on offer and stories of old Ireland to be told you will be entertained until the small hours. My favorite thing about Ireland is the fact that they seem to have a little fun song about nearly everything. Heck, while I was in Dublin, I remember singing a diddy about a statue named Molly who was the town whore. Yep, that’s a fact people! This list is designed to give you something to see in each corner of Ireland, and it is not inclusive of everything that this beautiful and welcoming of this unique country. There are obviously multiple enchanting points of interest in Ireland that can be fitted toward any individual desire. If there is one phrase or saying that encapsulates everything that is good about Ireland it would be…..
Have you been to Ireland before? What points of interest in Ireland do you think should be included in this list? next post	San Diego Attractions You Need on Your Bucket List! Loved this! Made me miss Ireland a whole lot. I would also add the Howth Cliffs just outside Dublin, for a quick day trip, and the Carrick-a-rede Rope Bridge (not recommended if you’re scared of heights though). I LOVED the cliffs of moher when I went there. I feel that standing there is a really humbling experience because you see just how much power the earth has to shape our surroundings. The other place I really loved was the Waterford factory. Seeing their craftsmanship was simply amazing. I was in Ireland for a nano-second! A long weekend in Dublin allowed me to see the Guinness factory and Temple Bar! Gorgeous photos! What a great list! There’s a little bit in there for everyone! You’ve just planned my upcoming trip, thank you! The Cliffs of Moher are so beautiful. I’m embarrassed to say I lived in the UK for a little bit and didn’t visit Ireland. Next time! We are heading to Ireland in August…1st trip without kids in 12 years!!!! I am pinning this! Gorgeous pics! I want to visit all these places so much! I was going to stay in Dublin for 1 night next February but I changed my plans because it was really too little time and I wanted to see so many things. Hope I get to see them soon! Thanks a lot for sharing these spots in Ireland! Looking forward to be there soon! I love your pictures! I’ve always had a great fascination with Ireland so I really enjoyed this. Thanks for sharing! Two out of five is not bad (Cliffs and Guiness). So much more to see. Ireland, never came in mind that it has just beautiful scenic places, and the most important, that it has been added in the Guinness book for popular tourist attraction. Bingo.! Well, will surely visit this place. Love this and Ireland is a great place to visit! The cliffs of Moher look amazing. Add Horn Head Dunfanaghy Co Donegal. If you are adventurous then do a back packing tour. Shamrockers is assuredly the best and ask for Kim! Also don’t miss the Walking tour of Derry, it’s haunting history and incredible murals are amazing! City Tours is the company and ask for Garvin.. He does his fair city well! Thanks for this post, you made me remember all the great times I had in Ireland! Happy St Patricks Day! I absolutely loved visiting the Cliffs of Moher, so beautiful! I look forward to getting to these other spots on my next trip there! Road tripping through Ireland is loads of fun!